Straight hair ironed perfectly, very neat, will look great with office wear. 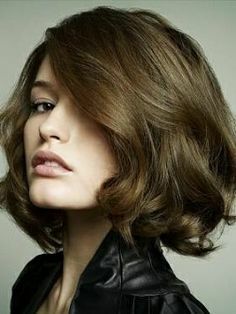 Now, some short hairstyles that are perfect for office environment, yet they look so stylish and trendy. Katie Holmes in a short well cut hairstyle, like? Thumbs up for Keira Knightly’s short and cute hairstyle. 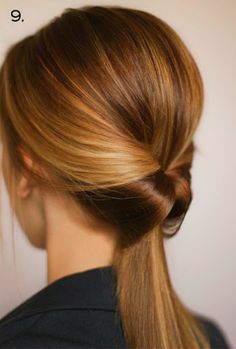 A side ponytail that looks infinitely cute. Gwyneth Paltrow’s hairstyle is neat and it sleek, wow, that rhymed! You can even add a cute hairband to jazz up things, it does not look casual at all. Again, a red carpet look, that you can modify a bit and wear it to office. Beyonce’s hairstyle is neat, sleek, and poker straight. Do you think Jessica Alba’s hairstyle can be worn to the office? Now, office hairstyles for those who have medium length hair. Scarlett Johannson, love her hairstyle. Image Sources: 1, 2, 3, 4, 5, 6, 7, 8, 9, 10, 11, 12, 13, 14, 15, 16, 17, 18, 19, 20, 21, 22, 23, 24, 25, 26, 27, 28, 29.
can any body tell how can we keep our ponytail at a height like one of ashwariya or selena gomez or Scarlett Johannson..
Neha, for such a high pony, you would have to use rubber band and bobby pins. Without these, the pony won’t stay up at all 🙁 Bobby pins hold the hair and hairstyle in place. Wow, such lovely hairstyles! But whatever I do at home, all I need is travelling by the company bus to undo everything! :p A banana clip is the saviour for my medium length partly curly, wavy hair! I hv very thin hair. Hence any of these hairstyles would be a flop show for me. Any suggestions for thin but curly hair? ?